Julius has aspirations of being a competitive 62kg weightlifter. 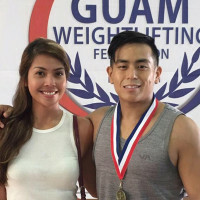 Coach Care Bear, aka Judith, aka Intern Extraordinaire, is an expert in advice, ranging from WOD technique to matters of the heart (just ask his gorgeous girlfriend Sheena). Julius is also a talented photographer, videographer, and graphic designer. When he isn’t on a date with Sheena or WODing you can find him doing his favorite activity, playing Ultimate Frisbee. Seeing our athletes progress and to prove to them that they can achieve what they thought they couldn’t.